Merry Christmas, everyone! Here’s a roundup of some of our UCLA coverage this week. 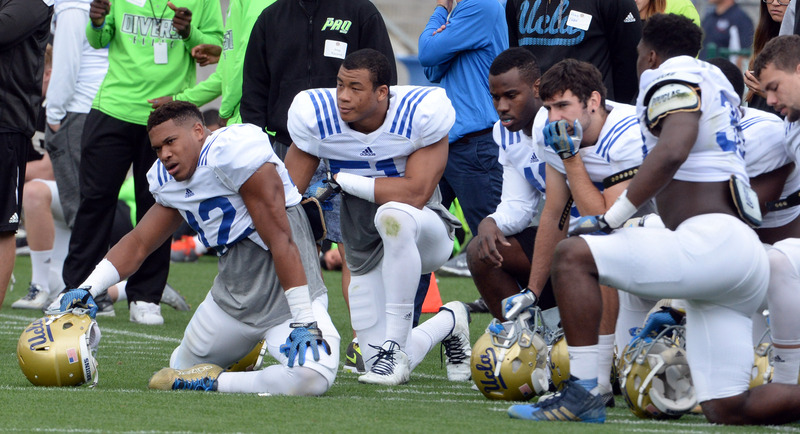 » UCLA linebacker Kene Orjioke explains why he decided to leave football a year early. » Defensive tackle Kenny Clark talks about the NFL players he watches most to improve his game. » Center Jake Brendel reflects on the bonds he made as a four-year starter at UCLA. » Nebraska quarterback Tommy Armstrong Jr. could present trouble for UCLA’s run defense. » Offensive lineman Alex Redmond left the Bruins to declare for the NFL draft. Backup quarterback Jerry Neuheisel and linebacker Kene Orjioke plan to finish their UCLA playing careers at the end of this season. Both have a year of eligibility remaining, but are on track to graduate and were honored as part of the Bruins’ “Senior Night” ceremony during the team’s loss to Washington State last Saturday. Mora hinted that Neuheisel will become a graduate assistant next season. UCLA linebacker Kene Orjioke tore his ACL last September, but is back with the team practicing with a brace over his right knee. The redshirt junior talked about his recovery process, including some advice he got from Eric Kendricks. A program vying for the title of “Linebacker U” is about to enter what could be a very interesting season. Anthony Barr needed just one offseason to turn himself into a dynamic pass rusher, and helped anchor the defense in Jim Mora’s first two seasons. Eric Kendricks was quietly consistent throughout his career, but peaked last fall on his way to a Butkus Award and UCLA’s all-time tackles record. Can Myles Jack seize that leadership role as well as his two predecessors? 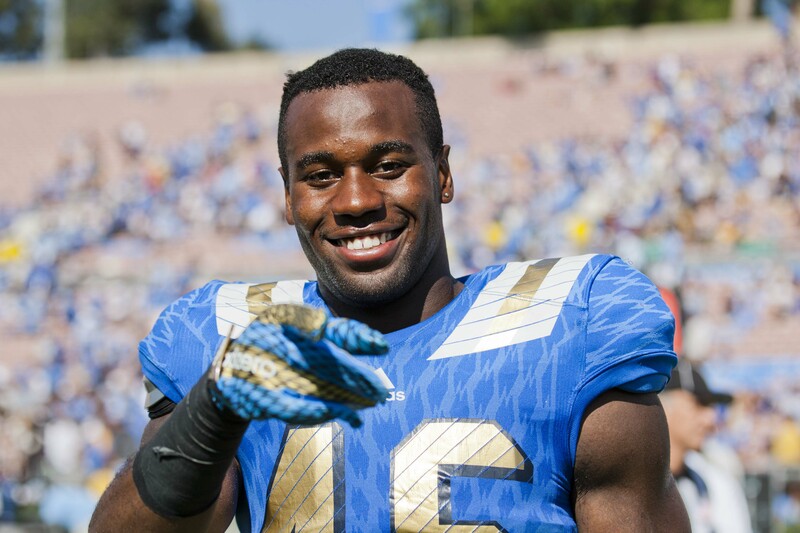 — Kene Orjioke will be limited to sideline work for the rest of spring as he recovers from a torn ACL he suffered in October, but UCLA head coach Jim Mora said he was sure that the outside linebacker will be ready for fall. Orjioke had to have an additional operation to have scar tissue scoped out, but appears to be back on schedule in his rehab. He received a hardship waiver after playing only four games last season, so he’ll be a redshirt junior this fall. The same goes for defensive backs Ishmael Adams and Randall Goforth, who got waivers for the 2012 and 2014 seasons, respectively. NaJee Toran, who started one game as an offensive guard last season, also received a waiver. He will be a redshirt freshman after switching to defensive line.